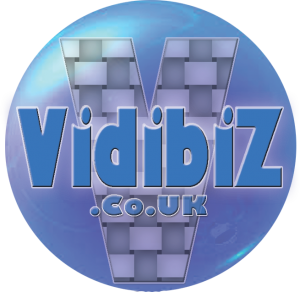 Vidibiz Digital Media is a well equipped, digital video/photography production company working from a small studio in the New Forest. For over four years Vidibiz have been working to produce training videos for the Beauty Industry to distribute online through school/academy portals. Web Development teams have established a pay per view model in that their students pay for what they use, also others who are not students in their schools can “register” and access the online video extracts, opening the market to a wider audience. Vidibiz set up their studio to simulate salon and arrange cameras, lights etc accordingly to suit the treatment being filmed. Vidibiz film the treatment, typically using 2 or 3 cameras. Vidibiz send a 2nd edit to the educator with time coded copy and captions for Voice Over to be recorded. On approved the educator adds the video to their web site in accord with their training modules and the marketing process starts. This is the basic model for all treatments and royalties / fees are paid to Vidibiz in accordance with a a pre-arranged agreement. Vidibiz and the educator can jointly license these videos to other training establishments to generate revenue, the branding can be changed and made specific to another training provider. As a result of this process Vidibiz, who own the copyright to the video as originators, are able to use the video films produced by Vidibiz in other market areas, paying contributors a nominal license fee in recognition of their work in creating the product. This video material is produced in accordance with the current qualification standards set by the various awarding bodies of the beauty industry (ITEC/VTCT/ City & Guilds etc) and subject to some potential editorial adjustments will be used in the production of eBooks by working with The Write Idea and other publishing houses combining their written text and graphics with the video produced. For clarification, Hathor Media (www.hathormedia.co.uk) and VidiBook are brands that were registered by Vidibiz some time ago to act as a digital publishing house specifically for the Beauty sector to avoid confusion in the digital marketing industry as Vidibiz works to produce films in other unrelated industry sectors.